Michael S. Carolan is the author of No One Eats Alone: Food as a Social Enterprise. He gave a public talk in Toronto in the autumn of 2017, and made the following provocative argument: we can change our relationship to food — how's it's made, distributed and even consumed — by changing our relationships with each other, and maybe open up the possibility of creating a better world. 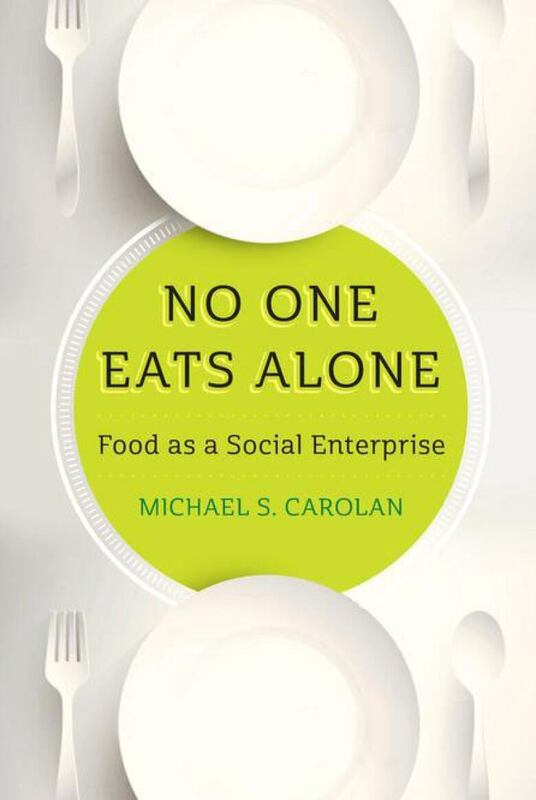 Michael S. Carolan is the author of No One Eats Alone: Food as a Social Enterprise. He gave a public talk in Toronto in the autumn of 2017, and made the following provocative argument: we can change our relationship to food — how's it's made, distributed and even consumed — by changing our relationships with each other, and maybe open up the possibility of creating a better world. **This episode originally aired December 1, 2017. No One Eats Alone: Food as a Social Enterprise by Michael Carolan is published by Island Press, 2017. How many of the meals you ate last week, were at your desk, or during your commute, or at a fast food restaurant? And how many of them did you eat alone? Probably quite a few. 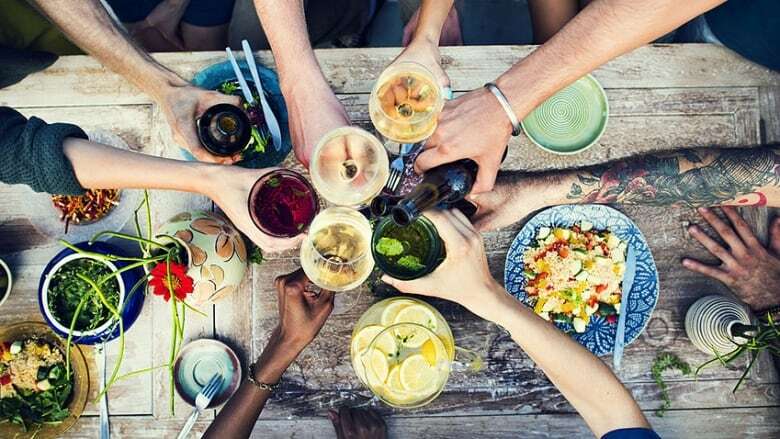 But according to American sociologist Michael Carolan, you never really eat alone. You are the final connection in a deep web of people, many of whom are invisible to you, who are involved in what he calls our "foodscape." Every meal we eat, Carolan points out, involves farmers, pickers, sorters, breeders, bankers, truckers, distributors, marketers, cooks, and waiters — to name just a few. And he thinks that to solve the problems in our food system — problems of sustainability, nutrition, waste, and worker exploitation — we need to get to know all those people and to find empathy and community with them. It's from this that we'll build a healthier food system, and a healthier society. "I like the idea of a citizen eater, because we're citizens first, and we have to think about social change beyond just making sure we buy the right stuff. When we talk about food, that also has to have conversations around issues of quality of life, and a liveable wage, and all these things are so intimately intertwined with issues of food that when we get caught up in the nuances of what's healthy and what's not, we miss some of these much bigger picture things that I think are incredibly important to creating a vibrant, healthy citizenship. So that's how I like to think about the issue, and why I like to think about citizens and not just consumers." Michael Carolan's new book was launched with a public lecture in October at the University of Toronto to celebrate World Food Day. The talk was sponsored by the Culinaria Research Centre, New College and the Toronto Food Policy Council. In the book he interviews many people from every part of the global "foodscape," and explores some of the work he's done trying to connect those people and build empathy and community around food. "One of the barriers that I've discovered when talking to consumers and eaters at farmers' markets is their reluctance to buy those foods because they don't know how to pick them. They don't have the experiential knowledge. They know you're supposed to thump or smell a cantaloupe but they don't know what they're supposed to be listening for or smelling for. Experiential knowledge has been reduced to best-buy dates… We're missing this other piece about, I'm going to show you how to select fresh fruits and vegetables, or how to smell meat to know that it's good, or what the glassiness of a fish's eye ought to look like to know that it's still fit to eat. We don't talk about that." After the lecture, there was a lively question and answer session. It led to a rich discussion around several issues: The crisis around aging in farmworkers; How land use, and the "financialization" of farmland is eroding farming communities; How to fill the "knowledge gap" for younger, inexperienced farmers as they begin their careers; And how to bring the benefits of community farming and community building around food to the urban poor. Michael Carolan is a Professor of Sociology and Associate Dean for Research & Graduate Affairs in the College of Liberal Arts at Colorado State University in Fort Collins. No One Eats Alone: Food as a Social Enterprise is published by Island Press.